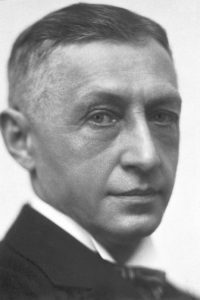 The Wiedling Literary Agency is proud to have been assigned the exclusive representation outside of Russia of Nobel Prize Winner for Literature – Ivan Alekseevich Bunin. Bunin died in Paris, France in 1953, so his intellectual property is continuously under international copyright protection. Due to historical circumstances during and also after the Cold War, only recently the successors of Bunin’s relatives and rightful heirs could be traced completely and thus The Bunin Estate has now been legally reconstituted. With publishers outside Russia Wiedling Literary Agency is ready to negotiate licenses for Bunin’s works in translation or to reshape valid license contracts to reflect the rightful ownership of copyright. For all questions concerning translations rights for Bunin’s works including provision of respective legal documents we ask to write to Wiedling Literary Agency and/or The Bunin Estate.